Amla, aonla or Indian gooseberry (Emblica officinalis) is an indigenous fruit to the Indian subcontinent. Owing to hardy nature, suitability to various waste lands, high productivity/unit area (15-20tons/ha), nutritive and therapeutic value, amla is becoming more and more commercially important with every passing year. Amla fruits are a very rich source of vitamin C having an ascorbic acid content varying from 0.9 to 1.3 per cent. This is the second highest among all the cultivated fruits. This fruit is highly valued among indigenous medicines. It is acrid, cooling, refrigerant, diuretic and laxative. Dried fruits have been reported to be useful in haemorrhages, diarrhea, dysentery, anaemia, jaundice, dyspepsia and cough. Trifala and Chyavanprash are well known indigenous medicines in Ayurvedic system using amla fruits. Murabba (preserve) is prepared from amla fruits by keeping them in sugar syryp. 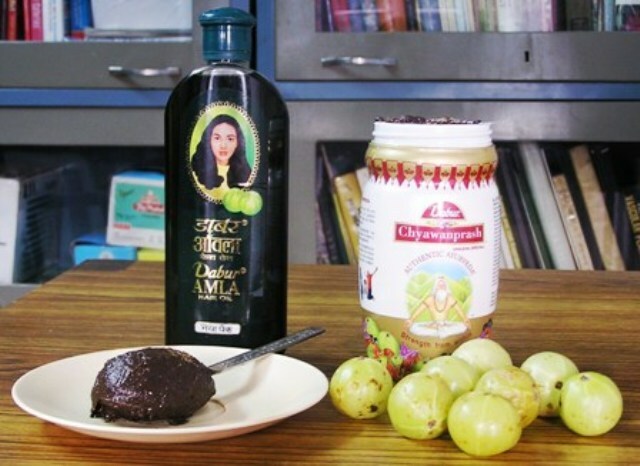 This is a very popular amla preparation in India and hundreds of tons are sold every year. The fruits are also used to prepare hairwash and hair oil which are said to be beneficial for growth and appearance of hair. Besides fruits, leaves, bark and even seeds are being used for various purposes. Its cultivation is common in India, particularly in Pratapgarh, Rai Bareilly, Varanasi, Jaunpur, Sultanpur, Kanpur, Agra and Mathura districts of Uttar Pradesh. Its intensive plantation is being done in the salt affected areas of the state of Uttar Pradesh, including ravenous areas in Agra, Mathura, Etawah, Fatehpur and semiarid tract of Bundelkhand. Amla cultivation is also spreading rapidly in the semiarid regions of Maharashtra, Gujarat, Rajasthan, Andhra Pradesh, Karnataka, Tamil Nadu, Aravali ranges in Haryana and Kandi area in Punjab and Himachal Pradesh. 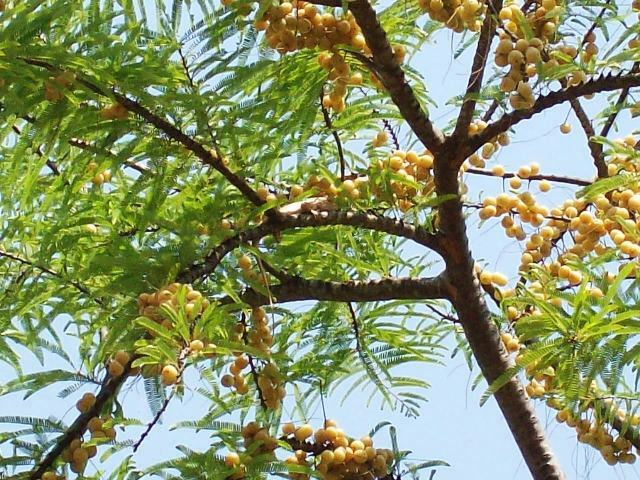 Amla is a subtropical plant and prefers dry subtropical climate. Even mild frost during the winter months can be injurious to tree. Though it can bear temperature upto 46 C during summer months, but the temperature should not be high at the time of flowering. It affects fruit setting and may sometime lead to complete unfruitfulness, if there are hot and dry winds too. Ample humidity is essential for initiation of fruit growth of dormant fruitlets during July –August. Dry spells result in heavy dropping and delay in initiation of fruit growth. Since amla is a hardy plant, it can be successfully grown in variable soil conditions. 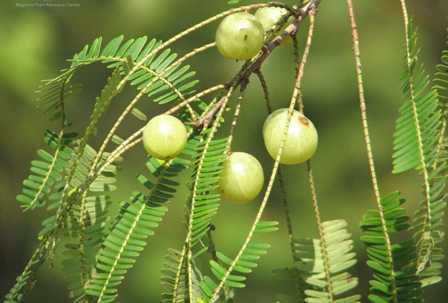 The deep root system, reduced foliage, dormancy of fertilized fruitlets (April- June) makes amla an ideal plant for arid and semiarid conditions. Aonla can be cultivated in marginal soils –slightly acidic to saline/sodic (pH 6.5-9.5) conditions. Heavy soils or high water table areas are not suited for cultivation. Kanchan (NA4): A seedling selection from Chakaiya, it is heavy and regular bearer (7.7female flowers/ branchlet), with medium-sized fruits, having higher fibre content. It is preferred by industriefor pulp extraction and manufacturing of various products. This has been adopted very well in the semiarid regions of Gujarat and Maharashtra. NA6: A seedling selection from Chakaiya, it is prolific and heavy bearer (10.8female flowers / branchlet). It is ideal for preserve and candy, owing to low fibre content. NA7: A seedling selection of Francis, it is precocious, prolific and regular-bearer (9.7female flowers/ branchlet). This is an ideal variety for preparation of products and has a great promise. Besides above varieties, Anand 1, Anand 2 and Anand 3 have been selected as promising strains at the Gujarat Agricultural University. Wild Himalayan amla: There also exists a quite distinct strain of amla, which grows wild in the mid-hill regions of the Western Himalayas. This amla bears smaller fruits and is a very heavy cropper. A very good quality of this strain is that it is much cold hardy in comparison to the commercial amla. The wild Himalayan amla can therefore be successfully used to extend amla cultivation to colder areas. A separate chapter on this strain under the heading “Wild Himalayan amla” has been given here. Amla has are raised through seeds as well as inarching. However, there is prolonged juvenility and wide variability in seedlings. On the other hand only limited number of scion shoots is available for inarching owing to upright tree habit. It can also be propagated through patch/ modified ring budding in north India during mid May to September with 60-100%sucess. Besides, Veneer grafting also has successfully been attempted. Considering the efficiency and requirement of single bud, budding is an ideal method of propagation. Six months to one year-old seedlings obtained from ordinary seedlings amla trees are being used as rootstock. Mature amla fruits are collected during January-February and their seeds are extracted after drying. Seeds are sown in raised beds April onwards and these are transplanted in separate bed for subsequent budding. Grafted or budded amla plants are planted 7-10 m apart during July–August or February. Pits of 1-1.25 m size are dug 2 months prior to planting. In each pit 3-4 baskets of well rotten farmyard manure and 1 kg neem cake or 500 g bone meal are mixed with soil and filled. In sodic soils, 5-8 kg gypsum along with 20kg sand is incorporated. Filled pits are irrigated thoroughly if there is no rain. Hedge row planting is also being tried keeping line–to–line distance of 8m, while plant-to-plant distance is reduced to 4-5m. Under adverse soil conditions, it is advisable to grow the seedlings directly in the field pits or raise these in suitable containers and transplant at permanent site, and perform budding (in situ) subsequently. 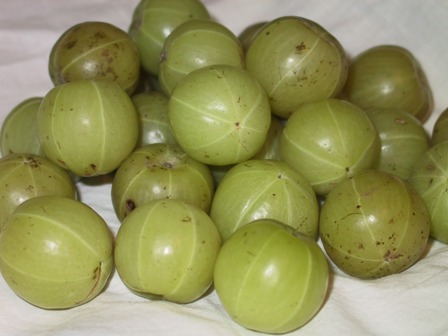 Amla scion shoots can be safely stored for 5-7 days with ample success. Since self incompatibility appears to be a problem with amla varieties, 2 varieties in alternate rows need to be planted. Amla plant should be encouraged to develop a medium headed tree. The main branches should be allowed to appear at a height of 0.75-1m above the ground level. Plants should be trained to modified central leader system. Two to four branches with wide crotch angle, appearing in the opposite directions should be encouraged in early years. The unwanted branches in are pinched off during March-April. In the subsequent years, 4-6 branches should be allowed to develop. Regular pruning of a bearing aonla tree is not required. As per growth habit, shedding of all determinate shoots encourages new growth in coming season. However, dead, infested, broken, weak or overlapping branches should be removed regularly. The dose of manures and fertilizers depends upon soil fertility, age of plant and production. A dose of 10 kg farmyard manure, 100 g N, 50 g P and 100 g K should be given to one years old plants of aonla. This dose should be increased yearly up to 10 years and thereafter a constant dose should be given. Full dose of farmyard manure and P and half of N and K should be given in tree basin during January- February. The remaining half should be applied in August. In sodic soils, 100-500 g of B and zinc sulphate should also be incorporated along with fertilizers as per tree age and vigour. Established amla orchards in general do not require irrigation particularly in normal soils. No irrigation is required during rainy and winter season. However, irrigation at 15-20 days interval is desirable in dry summer particularly during early years of orchard establishment under wasteland conditions. Brackish water should not be used for irrigation. In the bearing plantation, first irrigation should be given just after manure and fertilizer application (January/ February). Irrigation should be avoided during flowering (mid-March-mid April) period. Irrigation at 10-15 days intervals should be given particularly in the salt affected soils. Basin system of irrigation is well suited for amla. The initial information obtained with drip irrigation has shown promising response. Alternate drip irrigation with 60 CPE is appropriate with water saving of 40-45%. In water scarcity areas, pitcher irrigation can also be successfully utilized. Mulching with organic wastes is very effective tool for establishment of amla orchards in sodic and ravenous areas. Paddy straw, sugarcane trash and farmyard manure have shown better response. Mulching with organic wastes over a number of years shall be helpful in improving the organic matter content, infiltration rate, and restricting the upward movement or soluble salts and thus escaping their toxicity menace in salt-affected soils. Change in seed color from creamy white to brown is an indication of fruit maturity. Fully developed fruits are harvested. Delay in harvesting results in heavy dropping of fruits particularly in Banarasi and Francis. It also adversely affects the following years bearing. Individual fruits are plucked by climbing on the tree with the help of pegged bamboo or ladder. Harvesting should be done in early or in the late hours of the day. A budded/grafted aonla tree starts bearing third year onwards after planting, whereas a seedlings tree may take 6-8 years. Vegetatively propagated plants attain full bearing within 10-12 years and may continue to bear for 60-75 years of age under well managed conditions. 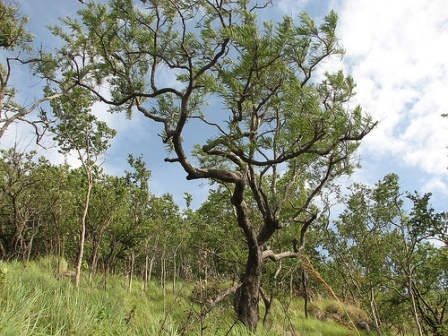 An aonla tree may bear 1-300 kg tree, giving 15-20 tons/ha. Amla fruits are graded into 3 grades. Large sized, sound fruits are mostly utilized for preserve and candy; small sized for chyavanprash and trifala and blemished fruits for powder and shampoo making. Aonla fruits can be stored for 6-9 days at ambient temperature. However, with a salt solution it can be stored up to 75 days. Necrosis, a physiological disorder, has been observed in aonla fruits. Francis variety is highly susceptible followed by Banarasi incidence initiates with browning of mesocarp which extends towards the epicarp resulting into brownish black appearance of flesh. It is an ages old Ayurvedic preparation made from amla fruits. It is prescribed as a restorative tonic which also develops resistance in body against various diseases. The legend is that this preparation was specially formulated by the Ashwinikumars, the physicians to gods in heaven, for sage Chyavan who had grown very frail and old after years of penance. There was drastic transformation of the sage after taking this tonic. The sage was looking so young and youthful that even his wife failed to recognize him when he reached home after years of absence from home. This tonic has become very popular not in India, but outside India too. Therefore the demand for amla fruits has now outgrown its production. So amla cultivation is becoming very profitable.